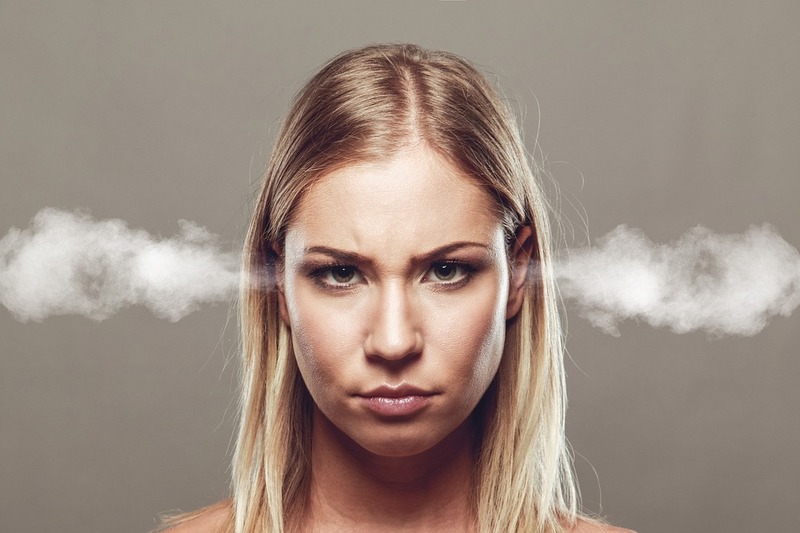 Angry outbursts from our children, hurtful words from them, or a hurtfully hard megablock thrown deliberately at you...These can all trigger our own anger, hurt, and tempers. How do we handle such fiery hot emotions from our children while staying calm ourselves? How do we help our little ones regulate these intense feelings? What are we supposed to do to discipline them? I will venture to say that developing our own self-regulation is the essence of helping our children do the same, and it is much more than child discipline: it is our own self-discipline! When tempers from our children flair, we may be tempted to try to take the reigns, control the situation more tightly, force them to comply with our expectation, and threaten with punishment. And we may soon discover that this fans the flames, leading to a child who feels unregulated, behaves in even more challenging ways (or complies out of fear, rather than connection) and may lead to us reaching a boiling point too. Here are some ideas for managing ourselves in the heat of the moment. Start here. Start with you. When you feel calm, and open, and able to cope, then you can more effectively help your child to feel calm, and open, and able to cope too. Breath in, breath out. Whether it is to slow down your heart rate, buy time to think of an action plan, or to model calmness that you hope will rub off, taking a deep breath in, and out can be a first step. You do not need to know what to do next. You simply breath. And breath again. Make your breath count. Pema Chodron, an American Buddhist monk, teaches the meditation of Tonglen: to send and receive; to breath in the anger and the hurt of another, and to breath out calmness, love, and joy. Regardless of your religious beliefs, you may find this resonates with you as a way of making your breath meaningful not just in practical ways but in ways of the heart too. If approaching your breath this way helps you feel more open to accepting your child's anger, lovely! If not, the simple act of a deep breath in and out still works to calm an excited nervous system. Know there is a reason behind it. Challenging behaviour is a sign of a need. We may not always understand our children's anger, but if we know that a need is at the base of it, then we can respond in a way that looks to meet that need. Often, with negative behaviour, we look to an emotional need: fear, embarrassment, hurt, shame, insecurity. And often this is the key. At other times anger and challenging behaviour may reflect physical pain, illness, or physical discomfort. Provide your presence, not your advice. Gordon Neufeld, developmental psychologist in British Columbia, discusses ways of being present for a young child (or adult too!) who is challenged with big emotions. When your child is lashing out in anger, stay close but not too close, talk quietly and calmly but not too much. Do not correct, until you connect. Dr. Bruce Perry, an American psychiatrist specializing in childhood trauma, describes this as three steps: regulate, relate, then reason. Understanding that none of us can process information very well when we are angry is helpful to remember when being present for our angry child. Give another outlet -a physical one- for your child to release this anger. Ripping paper, kicking a garbage can. And yes, even emptying the garbage can onto the floor. If you can find a way to stay calm with it, then let it happen (though I've certainly swooped in to rescue a cherished bowl or other breakable object!). I know it seems counter-intuitive perhaps to let children destroy things, but I have found that the wider the girth I give my kids to release their anger, and the less upset I am with it, the more I see the limit of what they will do --at one point I told my angry preschooler, who was holding a book in a way that suggested he was about to rip it, that it was ok; that if he felt that angry he could rip the book. And he didn't. He almost melted into the permission as if he wanted to know just how far it would be before my unconditional love stopped. And he realized it doesn't. It is not always easy to stay that calm --but when it happens it feels like reaching the sweet spot of parenting: remaining calm in the tempest. Use simple language to calm the situation. We cannot process language very well when we are angry. And yet, calm, rhythmic, repetitive, and simple language can help us calm down, and can help give us tools for coping. I think this is why 'mantras' are so helpful for those who meditate. At young ages especially, talk in simple sentences (e.g. it is ok to be mad, it is not ok to hurt me, repeated). Use simple language to "correct" the behaviour or to reason with your child. When both you and your child are calm, then address the behaviour. For young children this will be more direct and simple, and can include words that acknowledge their anger, their behaviour, and gives an alternative. For older children, reasoning around why some things are not ok to do, and looking at ways they can cope with angry feelings next time can be helpful. Physical closeness can be an important part of this. By continuing to use simple language, we can avoid 'giving a lecture' or bringing up past behaviours. We can focus on empathy, reflection, and problem solving instead. Go for the long haul. Sometimes the hard work we do parenting through challenging situations doesn't bear fruit for a long time. Our children may make the same mistakes over and over, or take a very long time to develop enough self-regulation to stop pushing their sibling, throwing things, or biting when angry. Think of this in the long term. However, you may also find that the work you do in regulating your emotions gives you wonderful payoffs right away: when I stay calm through the tempests of my middle child (which is not always! ), I am often met with a spontaneous "I love you" when things are calmer. I take this "I love you" to also mean "thanks for staying with me through that. Thank you for not getting mad". It is a very challenging thing to regulate our own emotions when trying to help our children develop self-regulation skills. It can trigger a lot of hurt and anger in us that makes it difficult to meet the needs of our children. Hugs to anyone who has had to dig deep to stay calm with their angry child. It is no easy thing. As Laura Markham, Clinical Psychologist, has said, our own self-regulation is the foundation of effective parenting.